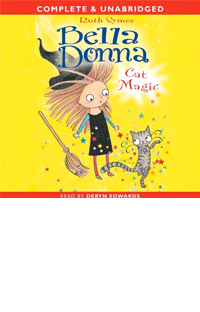 The English editions of Bella Donna books are narrated by Deryn Edwards; The German editions are translated by Nina Schindler and narrated by Cathlen Gawlich. 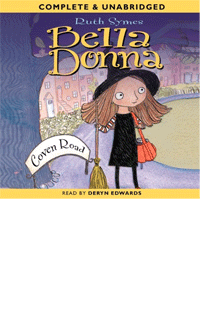 Bella Donna is a witchling – a young witch who must keep her powers a secret, and only use magic when she’s at home in the enchanted Coven Road – But it’s hard to stick to the rules when magic is such fun. 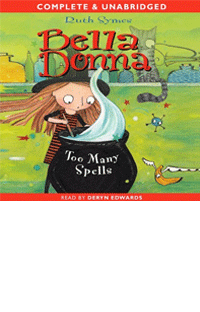 Bella Donna appears to be a regular girl at a regular school with her regular friends, but she has a secret – she is really a young witch! When Pegatha begins to behave very strangely, and soon Bella realises that someone has cast a spell on her! 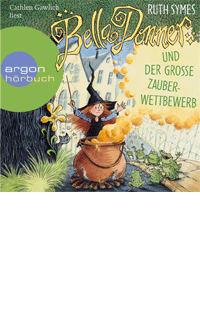 But why would anyone bewitch a cat? 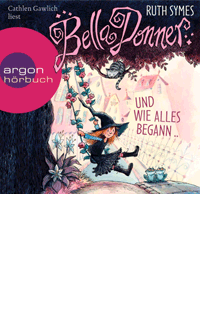 Bella Donna books are also published in German with Chinese, Hebrew, Polish and Slovakian editions on the way. 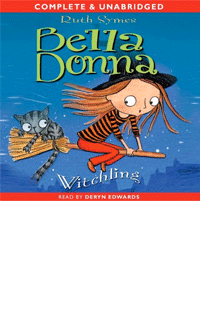 If you like to see details of other books I’ve written, please look at my homepage www.RuthSymes.Com.